Fresh off his collab with Nasty C on “Ghetto“, Flyboy Inc leader, Kizz Daniel now teams up with Diamond Platnumz on a new offering titled “Tere” and we are loving it. 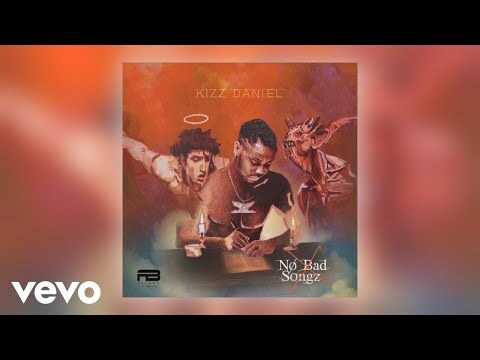 “Tere” was produced by Magicsticks with SWAPS handling the mixing and mastering and in case you did not know, this song is actually one of the songs off Kizz Daniel‘s newly released “No Bad Songz“ album and we can’t help but feel that this one will be around for a while. Prior to his collaboration with Nasty C on “Ghetto”, Kizz Daniel had featured on DJ Xclusive‘s “Ori Mi”, joined Becca on “Gina” and of course teamed up with Davido to release the still trending “One Ticket” and all of these happened this month. Talk about having a great month, huh? This song is not just another song released this year though, it’s a collaboration of heavyweights as his collaborator on the song, Diamond Platnumz is no small fish in the industry either. As a Tanzanian artiste, Diamond Platnumz runs things too and owns a music label and on this song, he definitely delivered. To listen to this new offering, stream or download here and drop your comments.